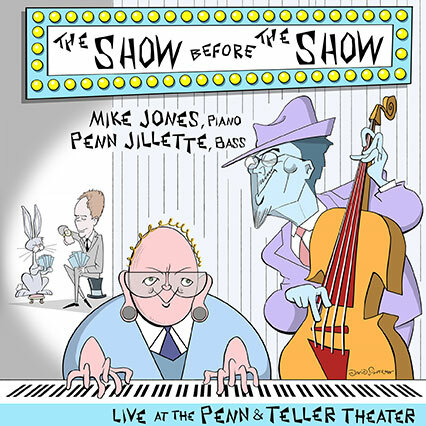 If you’ve been to the Penn & Teller show any time in the past 16 years, and arrived early, you’ve seen and heard the Mike Jones Duo, with Penn Jillette on bass. Now, you can take their music home! Coming March 16th on CD, iTunes and Amazon, with liner notes by Teller! A very limited edition of signed and numbered,(by Mike, Penn and Teller) red vinyl and 180 gram audiophile pressings will be available exclusively at the Penn & Teller theater in Las Vegas.